Proposition 1 will raise the sales tax within the Spokane Transit service area by two-tenths of a percentage point. Functionally, this means different things in different areas. In total, that’s about $2 per month or $24 per year for the average local household. But it won’t happen in one fell swoop; the increase will be broken up so as to mitigate any potential negative impacts. The first 0.1% increase takes effect April 1, 2017, and the second 0.1% increase takes effect April 1, 2019. Both increases would sunset on December 31, 2028 unless renewed by voters. 44% of this new sales tax funding will used to expand service along new routes and to new transit centers. 33% will be used to improve existing service by extending service later into weekend evenings and boosting frequency. Finally, 23% of this new funding will be used to maintain existing service levels. Finally, Spokane Transit intends to apply for federal and state bridge funding for the capital improvements necessary to implement the STA Moving Forward plan. The agency’s planners and accountants believe that it will be able to secure up to $94.9 million in additional funding. Through a competitive process, these grants will be awarded to other cities if not to Spokane. As such, it’s to our benefit to be fight for this funding; otherwise, we’d be paying the federal and state taxes used to fund them, but not receiving any of the benefits. And this doesn’t even consider the infrastructure investment programs that could move forward as a result of the presidential election. Unlike other regional measures, Proposition 1 includes a sunset period. In ten years, the operational funding will have to be re-authorized by voters. This gives voters an unprecedented level of control and accountability over the measure. If voters aren’t happy with STA Moving Forward in 2028, simply vote the next measure down. In addition, voters and residents will have the opportunity to engage with planners, policymakers, and decisionmakers in board meetings, planning sessions, and other public meetings. Aside from the ballot box, there will be plenty of opportunities for review, accountability, and public process. Now, the fun part. Proposition 1 funds the STA Moving Forward plan, which is the ten-year “master plan” for transit in our region. 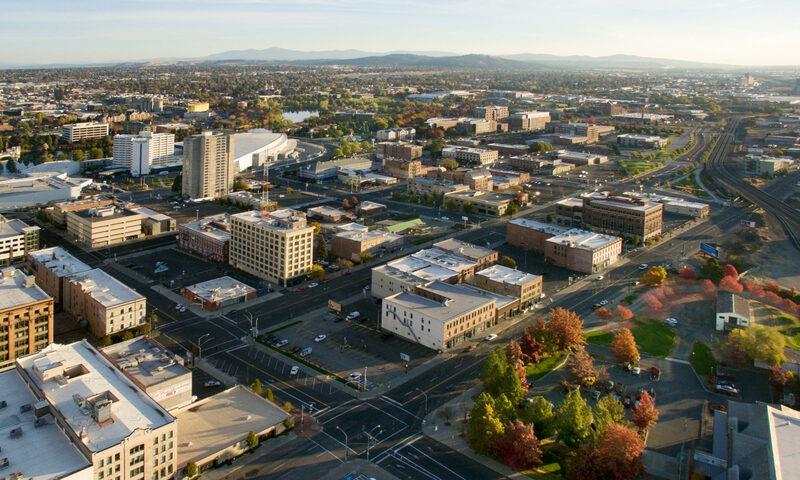 These projects will help our region’s transportation infrastructure cope with the 165,000 people who are anticipated to join the Inland Northwest by 2040. Unfortunately, the list of projects isn’t exactly the most easy-to-navigate, so let’s break it down for you. Phew! That’s a lot of new transit service. Of course, this timeline represents the current proposal, and it could change based off of funding availability. Increased funding from grants could speed up the project timeline, for example. Should you vote “yes” on Proposition 1? Perhaps. Spokane Rising itself does not endorse candidates or ballot measures (although I do personally from time to time). That’s because we see our role primarily in educating, informing, and engaging with the public. But it’s also important to note that this would be the biggest move forward for transit in Spokane’s history. And in terms of value for money, we’d get a great deal of transit service for not much in new taxes, all things considered. Proposition 1 would raise taxes by about $24/year, on average. And that’s for a great deal of fast, frequent transit, later service, new amenities, four new transit centers, and wildly improved frequency. (By comparison, the Westside’s Sound Transit 3, also on the ballot for this fall, would raise area property taxes by $169/year, on average. Of course, it would also build 50+ miles of new light rail, but…baby steps.) A big first step for a city our size. SHARE YOUR THOUGHTS: What do you think of the STA Moving Forward plan and Proposition 1? Are there projects you would have liked to see included? What’s your vision for the future of transit in the Spokane area? Are you voting yes? Share your thoughts on Facebook, on Twitter, in the comments below, or in person. We love to hear from you.